lasalle.eduThis weekend is looking like a busy one for GRID enthusiasts! 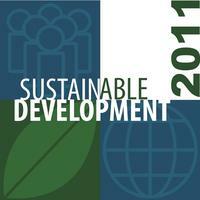 Saturday, March 19, 10:00 a.m.- 2 p.m.
La Salle University’s Sustainability Symposium. Join La Salle University in its first ever symposium on sustainability, “Sustainability: Is It More Than We Think?” It’s open to all guests, but registration ends today. Register for free here. Saturday, March 20, 3:00 p.m.-5:30 p.m.
Saturday, March 19, 10:00 a.m.-12:00 p.m.
Philly Tree People's Tool Sharpening Workshop. Join Joe Shapiro, a hardworking volunteer for UC Green, and learn how to sharpen pruning shears, shovels, hoes and loppers, just in time for spring. (This is perfect for all of you who are ready to start your gardens!) If you’re interested in attending please e-mail phillytreepeople@gmail.com. There are a maximum of 24 people for this event, so be sure to RSVP now! The Lehigh Valley Green Builders’ Third Annual Green Home and Building Expo. Come out to the expo for exhibitors, talks, workshops and demos, on green and renewable energy, green building and remodeling, and green gardening tips and techniques. The event will take place at Northhampton Community College, Spartan Center, Main Campus, 3835 Green Pond Road, Bethlehem. Adults: $5, Seniors and Students: $4, 12 & under: Free Register here for early bird reduced-price tickets. Sunday, March 20, 2:00 p.m.-3:00 p.m.
Morris Arboretum Klein Endowed Lecture: "Wild Urban Plants of the Northeast.” Join Peter Del Tredici at Morris Arboretum (100 East Northwestern Avenue in the Chestnut Hill section of Philadelphia) for an engaging lecture on the importance of urban plants in our area. A reception will follow with refreshments at the Widener Visitor Center. Please register for the lecture here or by calling 215- 247-5777 ext. 156.